I'm working on an ARC of David Albahari's Leeches, due out next April. It's a feverish and fantastical Kabbahlist conspiracy fantasy (or is it?) set in Belgrade, and is rendered as a single run-on paragraph. I'm really looking forward to reading the other Hans Keilson book recently re-released: The Death of the Adversary, given how sharply observed his Comedy in a Minor Key was. The Mind of a Mnemonist is a famous, book-length case study of a man who on the one hand might be said to have the best memory in the world. His brain converted everything he encountered into visual imagery. However, these was so vivid, that he was intellectually crippled as he could not discriminate between the images and had trouble forgetting a single one. It is written by A. R. Luria, the great Russian neuropsychologist. 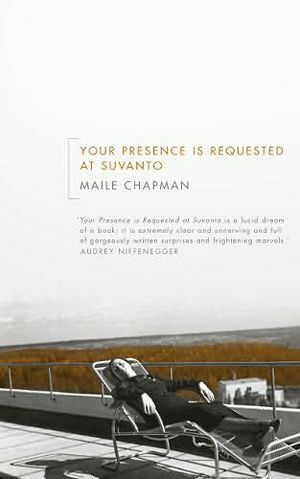 I won a copy of Your Presence is Requested at Suvanto by Maile Chapman over at the Incurable logophile's place (I never win anything - thanks, Michelle)! The book is billed as 'halucinatory' and 'dream-like.' Set in a convalescent hospital in Finland, it sounds like a dark psychological thriller of sorts that will be good for cold December nights under a blanket. I have had two lab related books sitting on the pile for a while that I'm very much looking forward to, even though they might sounddry and technical to the lay-reader. They are: The Human Frontal Lobes, a set of chapters collected by Bruce L. Miller and Jeffrey L. Cummings about, as the title says, the frontal lobes of human brain - how they work and what happens when they don't. The second is Complex Worlds from Simpler Nervous Systems, also a compilation, edited by Frederick R. Prete. It observes how non-human creatures' simpler nervous systems accomplish complex cognitive feats like creating representations of abstractions, enhancing their visual sensations to make perceptions, making decisions, and applying complex algorithms. I have been thinking that I would like to re-read Barbara Tuchman's history of pre-World War I Europe, The Proud Tower. It's a period of history that continually fascinates me in the cataclysmic changes in political, scientific, and artistic thought that Europe underwent and their aftermath which is frequently characterized as what gave birth to our "modern" world. That being said, I have just two more books to hit my hoped-for annual goal of 52. Over the next couple of weeks I'm looking forward to compiling those end-of-the-year lists of 2010 favorites (and to reading yours, either as comments here, or if you blog, at your place). Great lists! The Mind of a Mnemonist looks really interesting as well, I'll be looking forward to your posts on it. A single run-on paragraph! You're a better man than I am.